The upper reaches in the Kashmir valley, including Gulmarg, experienced fresh snowfall during the past 24 hours. 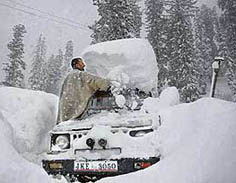 About 1 to 5 feet of snow had accumulated on the ski slopes at Gulmarg, Affarwat and Khilanmarg. Srinagar and the adjoining areas also experienced snowfall for about half an hour in the morning on Wednessday. The effect of the strong W.D. was more in H.P. The tribal Kinnaur in particular was experiencing heavy snowfall with Rackong Peo receiving 105 cm of snowfall for the past 36 hours. It was the heaviest since 1992 when 200 cm of snowfall was recorded in five days. Dhundi in Kullu recorded the maximum 110 cm of snowfall, followed by Solang Nullah 80 cm, Hatu Peak 75 cm, Reckong Peo 50 cm and Keylong 45 cm. Patsio recording the lowest temperature of - 7°C, followed by Keylong - 4.7°C and Kalpa - 2.5°C. 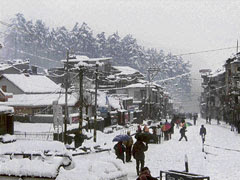 Manali experienced fresh snowfall, while the lower parts were lashed by rain. The entire upper Manali region has been covered with a thick blanket of snow. The snowfall, which started on Wednessday evening, was still continuing and about 25 cm of snowfall was recorded in the town. However, the W.D. has now breaking up in the high ranges ,and the rain/snow is expected to decrease. Since the temperatures all over the central and northern plains are now almost 3-5c above normal, I expect them to start dropping substantially by tomorrow. As estimated, the strong n-e winds have pushed away possibilities of any meaningfull rain in the south, or the possibility of the W.D. travelling beyond the Himalayan range. 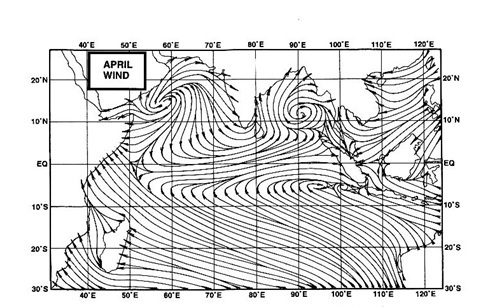 Now, the next W.D., on its way ,should hit north India by mid week next.